by Michael Godel with notes from David Lawrason and John Szabo M.S. Last week in Part One John Szabo M.S. and the WineAlign team covered the smart buys of the VINTAGES January 19th release but saved this special edition of Part Two for an exclusive look at South Africa. The reasons for reserving an entire Buyers’ Guide this week for the best of the Western Cape is threefold. The first is something that is becoming exceedingly obvious. South African wines simply represent the best and most interesting quality to price ratios in the world. Second, the VINTAGES buyers have assembled, as John pointed out last week, “a very fine collection featuring both quality and value.” Third, as my esteemed colleague also noted, this second of two parts in the ongoing purchasers’ paradigm comes out in conjunction with a detailed report from my journey to South Africa’s Capelands and Cape Wine trade show in September 2018. It has now been more than two years since the LCBO first opened the Destination South Africa: “Products of the world” store at 1899 Brock Rd. in Pickering on Friday, September 16, 2016. The destination boutique offers approximately 130 wines from South Africa, including some 70 that are only available in-store at this location. Some of these products continue to be available to buy online through the LCBO’s e-commerce platform though it is the Brock Rd. selection that continues to be one of the best single-store assortments available outside of South Africa. Many of the wines are from the LCBO’s Consignment Program, which means this is the first time they have been available for customers to purchase in LCBO stores. Previously, the products would have only been available in bars and licensed restaurants. The current selection represents a variety of products from wine regions across South Africa and is regularly updated to keep the assortment interesting. 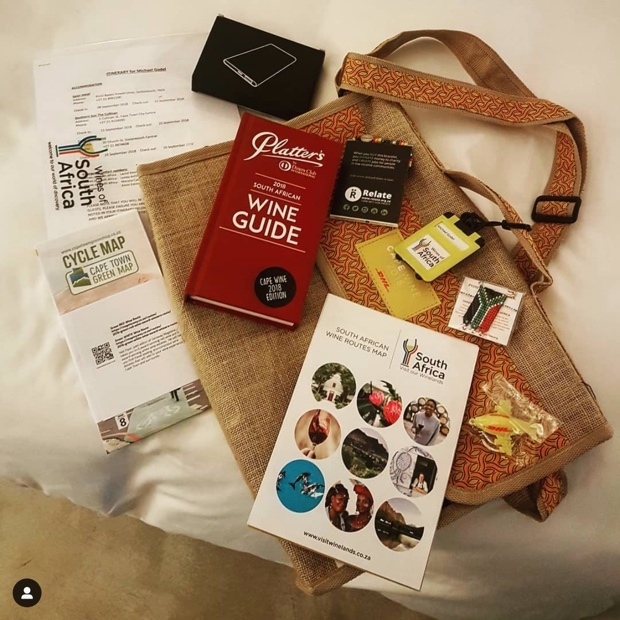 Since attending Cape Wine in 2015 there has been a consistent South African presence in the local tasting schedule, including events and excursions with several groups of South African producers here in Ontario. The Premium Independent Winemakers (PIWOSA) are frequent visitors, a group of 11 wineries that includes Paul Cluver, Bruwer Raats, Ken Forrester and Alex Dale of Radford Dale, as are Chris and Andrea Mullineux of Mullineux & Leeu. When I returned from South Africa four months ago people immediately began to ask. What’s it like? What’s new, what’s changed, what’s hot? I asked myself the same questions and the most obvious answers forthcoming were charged with notions of quality and especially confidence. There is a swagger about these women and men who make wine from dry-farmed bush vines set into some of this planet’s craziest antediluvian soils. Their wines collectively have a very purposed focus but what they have more than anything else is flow. “We’re no longer trying to make chenin taste like sauvignon blanc or chardonnay, or Huet for that matter,” noted Chris Mullineux. “The grape variety has been in the country for more the 350 years, since the 1650s and it can withstand warm and dry conditions and perform really well.” No discourse on new versus old in South Africa can be addressed without first looking at the modish dialectal of chenin blanc. The combination of bush and old vines, coupled with indigenous ferments and skin contact addresses has elevated the stalwart, signature grape to its current reality. That said this VINTAGES release does not rely on the current chenin fashion and instead offers up a diverse lot of varietal, region and style. It’s rare for our group of critics to agree and align on almost all the wines available but that is South Africa in a nutshell. All in, across the board, best value wines in the world. John Szabo – Here’s a complex, dry and pleasantly fruity rosé from the Cape, with an intriguing streak of iron flavour alongside red berry fruit, tart and sharp. Acids are nicely lined up with the rest of the structure, and length is quite impressive. Well worth a look I’d say. Michael Godel – From a territory where sparkling wine has proven its worth this traditional method Rosé from Robertson is a right proper Cap Classique high in natural acidity, stoniness and the perfect amount of pinot noir rust. Not rustic but highly specific and carrying a flavour profile that is truly parochial, regional and specific to the place. Does that offer up enough stylistic hints? John Szabo – A flavourful, fullish, high-intensity white here for $18, with character and personality. Acids and alcohol are balanced, and salinity adds complexity and interest on the back end. Very good length. David Lawrason – There is reductive flintiness on the nose, but very good peach/pear/quince chenin character as well. Plus, something like honeyed toast. All in all quite complex and engaging. It is full bodied, firm and well balanced, with excellent length. Lots of interest and intensity for the money. Michael Godel – Jardin was Jordan and Inspector Péringuey is the chenin blanc exploration for Stellenbosch where the richest of fruit always seems to be found. In this instance there is a great urgency in verdant behaviour and a soil tang that can’t help but intrude. Pretty racy chenin here with some true density. John Szabo – The Bon Vallon parcel has notably rocky-slate soils on the lower slopes of the valley, producing the generally more restrained wine of De Wetshof’s three single site chardonnays. The 2017 is especially tight, appealing and fragrant off the top, mixing citrus with orchard fruit – apple and pear, and no noticeable oak, while the palate delivers a significant dose of succulent acids and less fruit than expected, a highly mineral expression. I love the salinity and the fleshy-firm texture, the great tension and energy. This pioneer of Robertson, and South African, chardonnay is on fine form here, a superb value. David Lawrason – From a leading chardonnay producer in South Africa with vineyards on limestone-based soils, this is a fine unoaked chardonnay. Expect gentle, ripe almost sweet aromas of honeydew melon, banana skin, fennel and breadcrust (from some lees ageing). It is medium-full bodied, firm, lively and dry and extends to excellent length. Great value in my books. Michael Godel – The Bon Vallon is a striking Robertson chardonnay in all its limestone glory from an equally striking site worked by the brothers de Wet. The vines for this unencumbered and unplugged one are set in the middle of the saddle of what I can attest to as a very “good valley.” The epicentre of Robertson’s Burgundian varietal exploration is right here and this is the house at the crux of that investigation. Bon Vallon 2017 brings a jettison of stony sharpness to streak through the great ripeness of fruit and tension. John Szabo – Mullineux’s generally excellent old vine white delivers again in 2017. It has a terrific nose off the top, with a broad and appealing mix of ripe orchard fruit, fresh citrus, gentle wood notes, and honeyed-floral complexity. I love the sanguine and ferrous mix of non-fruit flavours on the palate, plus the ripe-tart acids and the gentle oak influence, not to mention the excellent length. Give it another 2-3 years minimum to come into full form. Michael Godel – Predominately chenin blanc with grenache blanc, sémillon gris, clairette and viognier, ushered by natural yeasts and encouraged through malolactic fermentation. The new age textured acidity is accessed without a stir and a highly textured affair it is. The composure rests in seamless mille-feuille layering while vested in slow-developed, all you could dream about in a cape effect white wine. Welcome to the cumulative in Andrea Mullineux’s Old Vines bottling. While Granite and Quartz make pinpointed investigations this is the one to educate us all on what Western Cape and more specifically Swartland chenin blanc blends are capable of discerning. The weight is powerful and weightless, the effort strong and effortless. Amazing really. David Lawrason – Mercifully this avoids the sweetness and coffee inspired mocha flavours that have wrecked so many South African pinotage in recent years. It is smooth, a bit soft with generous aromas and flavours of pomegranate, strawberry jam, licorice, vanilla and local herbs. Nicely balanced, not very tannic, gentle and appealing. 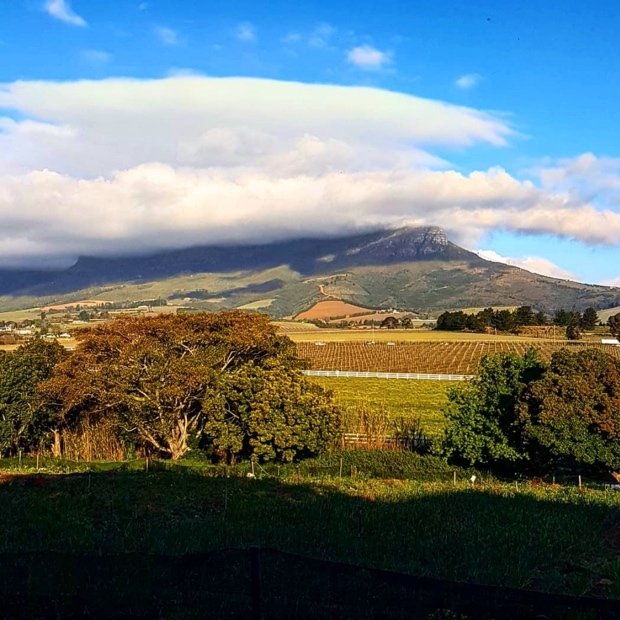 Michael Godel – A taste of the 2015 vintage from Kanonkop’s second label back in September 2018 offers some good perspective with respect to this follow-up ’16. The older barrels are used by the respected and classic pinotage specialist in adherence to a pioneering tradition but dials it back just enough to deliver some earlier in life clarity from the much maligned and to be fair, ruined varietal. It’s comeback will be helped by this sort of execution, dark, mysterious and reductive but also singing and structured. Wait two years on this, even at the price point. David Lawrason – This is a classic, cushy grenache with a very fruity nose of cherry/strawberry jam, a touch of Cape bandaid, plus peppery spice. It is medium-full bodied, smooth and fleshy, with some alcohol warmth and fairly soft. The length is very good to excellent. John Szabo – Super ripe, even lightly raisined/jammy grenache here from the Swartland, with big aromatics, nostril-filling. The palate is more contained than expected, however, showing rather tight tannins and balanced acids, a more old world impression overall. This would be hard to place in a blind tasting – there’s certainly some saltiness on the palate and rustic tannins, all of which call for some fatty, salty protein at the table. For the money, there’s plenty of intrigue and interest here. Best 2019-2024. Michael Godel – One of several deserving hotbeds and very likely the hottest for grenache is the Swartland, where peppery reductive, smoky and spicy are gathered for a warm, humid and more than interesting red wine. This has all the attributes of balls bouncing and bitters in beautiful liqueur that scream South Africa albeit in wooly clothing. So very worth a try, for science and for all things being equal. David Lawrason – There some wood veneer and smoke here but beneath that first impression lies a fine cool climate pinot with cranberry, cherry and a herbal/shrubby note. It is medium weight, fresh with very good acidity and fine tannin. Slightly tart edged and green, but I like the drive and intensity. Michael Godel – A nice and quaint entry into Hermanus pinot noir by way of Bosman up on the upper ridge of the Hemel-en-Aarde Valley. Here the tension, drying tannin and ripe acidity join the earthy, funky and also ripe fruit. It’s quite a soil tang that gets into the soul and the veins of the wine, so bloody hematic and parochial. Michael Godel – An impossibly youthful, brawny and layered Rubicon with the most classic of that archetypal label’s acids and some of the best fruit it can show at such a young age. Highly precocious in ways rarely seen but do not be fooled for it has a track record as strong and proof perfect as any in that country’s long history. Quite the catch this is and will be for those who can wait, what with so many parts, all moving as one, towards a common goal. Meanwhile, do you know about the WOSA Sommelier Cup? The 360th South African wine harvest is beginning, and Wines of South Africa is pleased to mark the occasion by announcing the 2019 WOSA Sommelier Cup. The triennial contest pits your knowledge of South African wines against that of other sommeliers from across Canada, and, if you make it to the finals, across the world. Sommeliers anywhere in Canada can enter provided you are currently working in a restaurant as a sommelier and/or wine director, or in wine retail in a buying capacity. Starting in February masterclasses will take place in five different markets (Vancouver, BC, Calgary, AB, Toronto, ON, Montreal, QC and Halifax, NS), each followed by a quiz*. Exact dates will be announced shortly at wosa.co.za/sommelier/. The ten top scorers from across the country will be sent a bottle (or two) of SA wine. You need to come up with a tasting note, food pairing and then create a short video with your phone. The three best entries will move on to a semi-final round. The winner of the Canadian title next competes with international finalists from around the world in Cape Town in September. Along with the finals, the trip will include visits to the major wine regions and the chance to meet top producers. Dates for the competition and visit are September 19th-26th; expect to land in Cape Town on the 18th/19th and be back home on September 27th. WOSA will cover airfare, accommodation, local transport, and meals. In addition, three spots to accompany the finalist on the trip will also be made available. To participate, competitors from earlier rounds will need to pay their airfare, but WOSA will cover accommodation, local transport, and meals. These three will get to cheer on our finalist and accompany the international sommelier group on their visits and tour of the Cape. Priority will be given to semi-finalists, but then opened to entrants from earlier rounds. Go to wosa.co.za/sommelier/ and complete the entry form. For more information please contact Laurel Keenan, WOSA Canada Market Manager, at [email protected]. Thanks for reading and if you’ve not yet had a chance to slide over to my article on South Africa (Heritage and diversity in South African wine). Don’t forget to check out the critics’ Only One pick this week and the team will return over the next two weeks with previews for the VINTAGES February 2nd release.